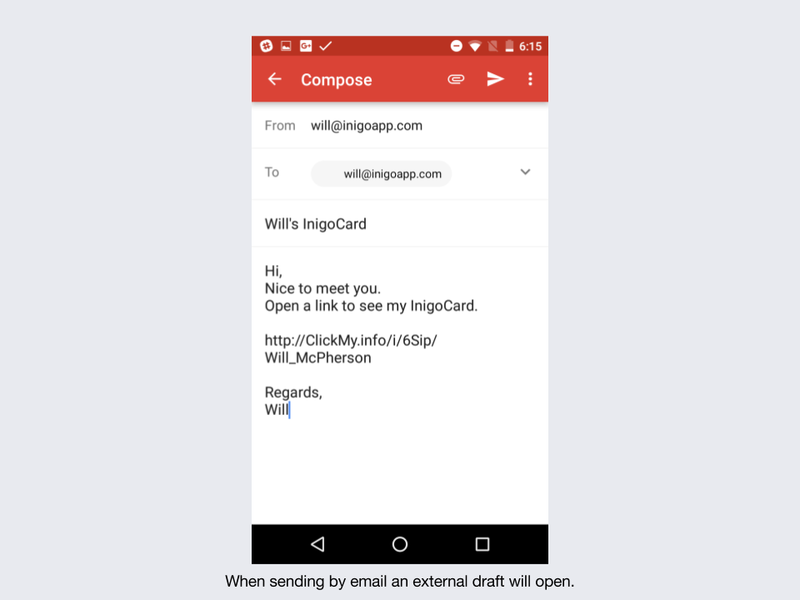 This article will tell you how to edit your greeting message on the Inigo app. Your Greeting Message is the first thing that a contact will see when they receive your card. 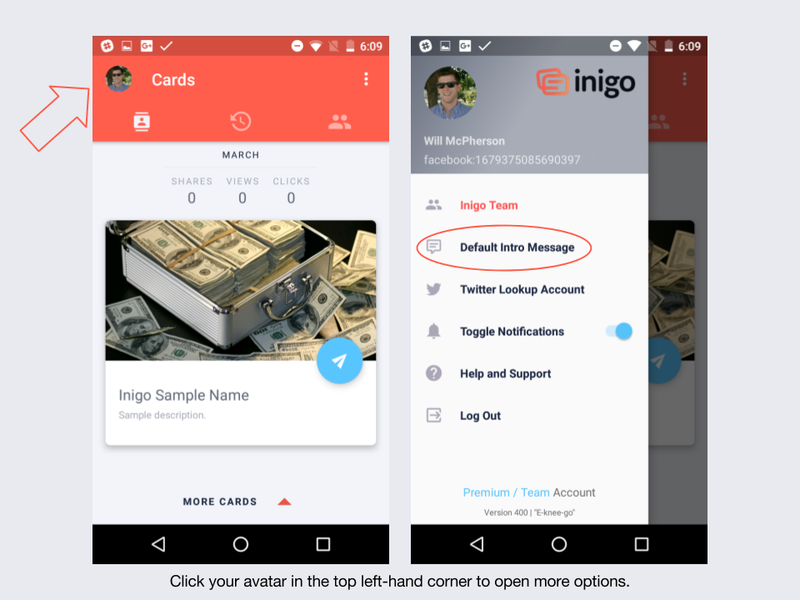 Your default greeting message is customizable, and with an Inigo Team subscription, it can be edited by card. 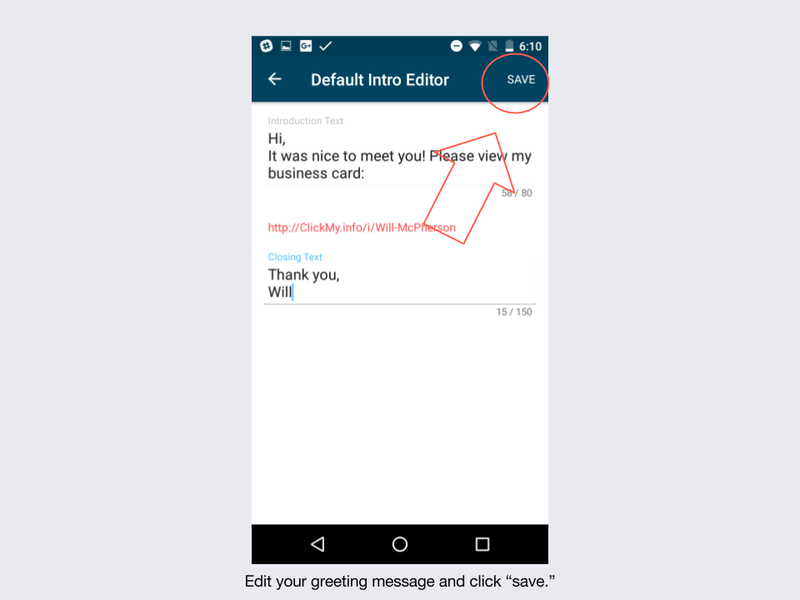 This guide will show you how to edit your default greeting message. To edit your default greeting message, please go to the "Cards" page. From this page, click on the icon in the top left-hand corner of the screen. This will open a set of menu options. Please click "Default Intro Message." Your default greeting message as it appears now will open. You can change the text on this page to say whatever you would like your contacts to see. You must keep the "introduction text" to a maximum of 80 characters, and the "closing text" to a maximum of 150 characters. Click save to set your default greeting message. TIP: With Inigo Team you can also edit your Inigo card's URL. By default the ending is set to last 15 characters of NAME-LASTNAME. 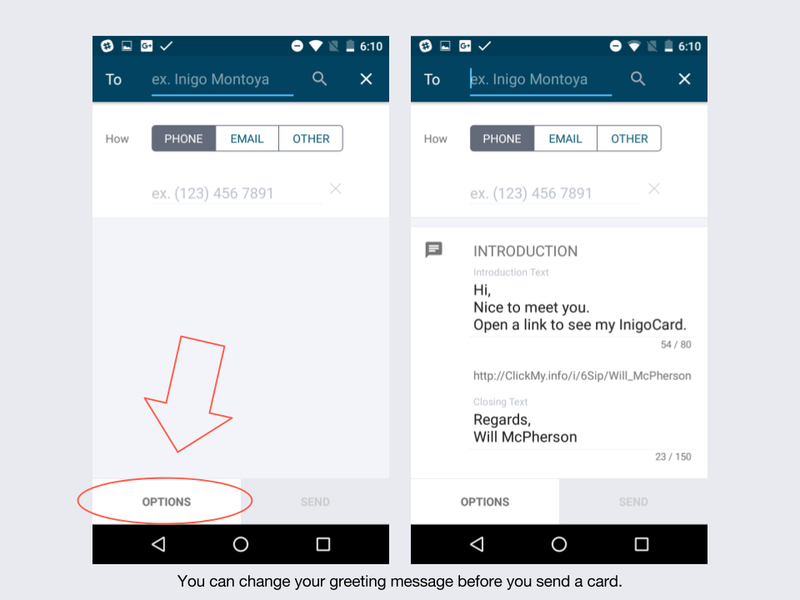 It is possible to change your greeting message when you share a card by clicking "options" on the share page. This will allow you to see your default greeting message, which you can change for this share only. TIP: If you share by email, you will have the option to edit the email before you send it to add other details.